Kitty with black head and silky coat in grass 4K. 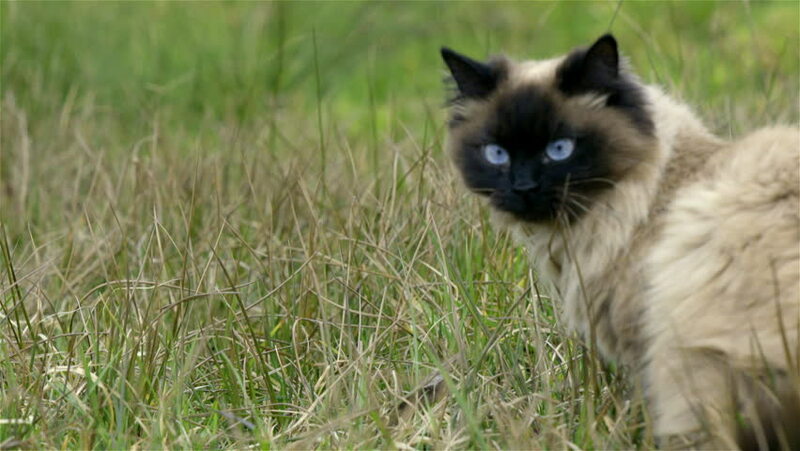 Cat standing in green grass, observing surroundings with big blue eyes. Looking for pray. hd00:19Kitty with black head and silky coat in grass HD. Cat standing in green grass, observing surroundings with big blue eyes. Looking for pray. hd00:44Beige British cat sitting on the grass. hd00:09Cat gets ready to watch.